What kind of sneakers would the White Walker wear? To commemorate the final season of Game of Thrones, Adidas has launched a new line of sneakers inspired by the series, particularly inspired by the color scheme and moods of the various houses and factions in the series. 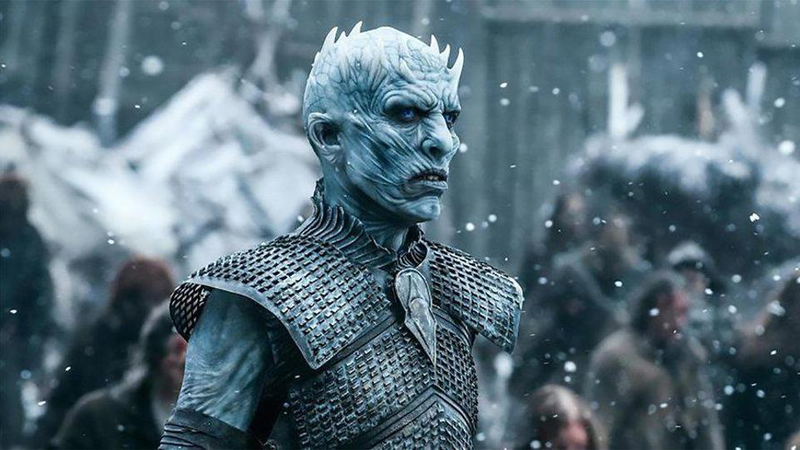 As Entertainment Weekly reports, you can now show your loyalty to House Lannister or the Night’s Watch, or go full ice zombie and pledge your allegiance to the White Walkers with some chilly blue-and-white sneakers. The Game of Thrones x Adidas Collection. This is a nice looking collection, slotting comfortably into that niche of nerd mechandise that also just looks like nice, fashionable clothing, which we all dearly need more of. These sneakers are available now at the Adidas website, and feature the company’s boost midsoles and Primeknit upper, which I’m certain means something essential to sneaker afficianados. Game of Thrones, probably sans sneakers, premieres April 14, 2019.